Getting the family out the door on time every morning is no small feat. Seemingly simple tasks like getting dressed, packing backpacks and making breakfast can quickly turn into chaos. Before you know it, you're running late and the kids haven't even eaten as you dash to the car. Stop dreading the stressful start to the day and start taking control of your mornings. A few simple tips and tricks will turn the morning craze into smooth sailing. Plus, when you have a stress-free start, the rest of the day just seems to go better. Select a week's worth of clothes Sunday night. Instead of choosing outfits the night prior, supersize your time-saving efforts by doing this task just once on Sunday night. Involve kids in selecting their clothes for the week so they feel empowered in their choices. Then hang entire outfits in the closet or stack in one drawer dedicated to weekday wear. When mornings come, kids know exactly where to find the day's duds. Bonus: you don't have to worry about midweek laundry. Create a routine, and set alarms. Create a morning routine and stick to it. For example, kids wake at 7 a.m., eat breakfast at 7:15 a.m., get dressed and ready at 7:30 a.m., then out the door by 8 a.m. And if the kids need to share a bathroom, set a daily bathroom schedule with alarms to keep kids on track and avoid arguments in the morning. Get ready before waking up the kids. Trying to ready yourself for the day while helping the kids is a recipe for disaster. This is why waking before the rest of the family really makes mornings happier. Try getting up 30 minutes before the kids so you have time to get ready and enjoy a cup of coffee. You'll be fully awake, much happier and can focus on helping the kids stay on-task. Just like you don't let kids eat dessert before dinner to ensure they eat well, set rules for the morning to keep things moving. For example, no TV until all morning tasks are completed. For teens, smartphones and other mobile devices must remain on the kitchen table until they are ready to go. Make a week's worth of sandwiches or other lunches on Sunday and put them in the freezer. This way lunch items are ready to go and the sandwiches will be thawed and ready to eat by lunchtime. For breakfast, make it easy for kids by setting out shelf-stable items they can make themselves. New Jif(R) Peanut Butter and Naturally Flavored Cinnamon Spread keeps mornings interesting. Set out a jar by a loaf of bread and kids can quickly make a tasty sandwich they'll devour. Learn more at jif.com. Montessori can be hard to sum up in just a few words—it is a philosophy on education and child development that runs deep. It’s a way of seeing the world. I think one of the easiest ways to get an idea for what Montessori means is to listen to the language that Montessori teachers use. 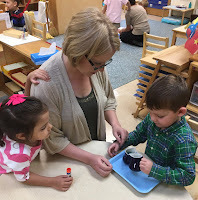 Montessori teachers use language that respects the child and provides consistent expectations. Words are chosen carefully to encourage children to be independent, intrinsically motivated critical thinkers. Here are seven common phrases you’d probably hear in any Montessori classroom, and how to incorporate them into your home life. In Montessori, the child is his own teacher. The teachers are there as guides to give him lessons and help him but he discovers things for himself through the carefully prepared environment and materials. Self-analysis is a big part of that discovery. When your child asks you, “Do you like my picture?” try asking her about it instead of just saying you love it. Ask her what she thinks about it, how she decided what colors to use, and what her favorite part is. Help her start to evaluate her work for herself, rather than looking for your approval. If your son loses his shoe and you see it peeking out from under the bed, try asking leading questions, rather than just handing it to him. “Where were you when you took your shoes off? Have you checked your room?” This may take a little more time, but it will be worth it when he starts taking more initiative and coming to you less. In a Montessori classroom, children are responsible for many things, including taking care of their environment. Children often take great pride in this responsibility, spending time arranging flowers to put on tables, watering the garden, and happily washing the windows and tables. Sometimes though, a job is just too big and overwhelming. In these cases, we ask the child how we can help. We don’t want to swoop in and “save the day,” sending the message that the child is not capable, but we also don’t want to leave the child overwhelmed. For example: If your child is tired, but needs to put her Legos away before bed, all of those pieces can be overwhelming. It doesn’t have to be all or nothing though. Try “which color would you like me to put away” or “I’ll put away the yellow pieces and you put away the blue” to show that you’re in it together. This little phrase is used to remind the children of any number of classroom rules and desired behaviors. Phrasing reminders as objective statements about how the community works, rather than barking commands, is much more likely to elicit cooperation from a child. Like all of us, children want to be a part of the community, and we simply remind them of how the community works. If you have a rule about walking in the house, instead of “stop running,” try saying “we walk inside our house” and see if you get fewer arguments. Protecting children’s concentration is a fundamental part of the Montessori philosophy. Montessori classes give children big blocks of uninterrupted work time, usually three hours. This allows children to develop deep concentration, without being disturbed because the schedule says it’s time to move on to learning something else. It can be tempting to compliment a child who is working beautifully, but sometimes even making eye contact is enough to break their concentration. Next time you walk by your child while he’s focused on drawing a picture or building a tower, try just walking by instead of telling him how great it is. You can make a mental note and tell him later that you noticed him concentrating so hard on his creation. This last one is an important one. It’s something Montessori teachers say to each other and to parents—not to the child. We often remind each other to “follow the child,” to trust that each child is on his or her own internal developmental timeline, that he is doing something for a reason. This reminds us to search for the reason behind the behavior. It reminds us that not all children will be walking by one or reading by four—they haven’t read the books and couldn’t care less about the milestones they are “supposed to” reach. Following the child means remembering that each child is unique and has his own individual needs, passions, and gifts, and he should be taught and guided accordingly. If you can’t get your child interested in reading, try watching what he does love—if he loves being silly, it may be that a joke book is what piques his interest, not the children’s classic you had in mind. Remembering to “follow your child” can help you see him in a different way and work with him instead of against him. One of beautiful things about Montessori is that it is so much more than a type of education—it is a way of seeing and being with children. Even if your child does not go to Montessori school, you can easily bring the ideas into your home and watch your child’s independence and concentration grow. 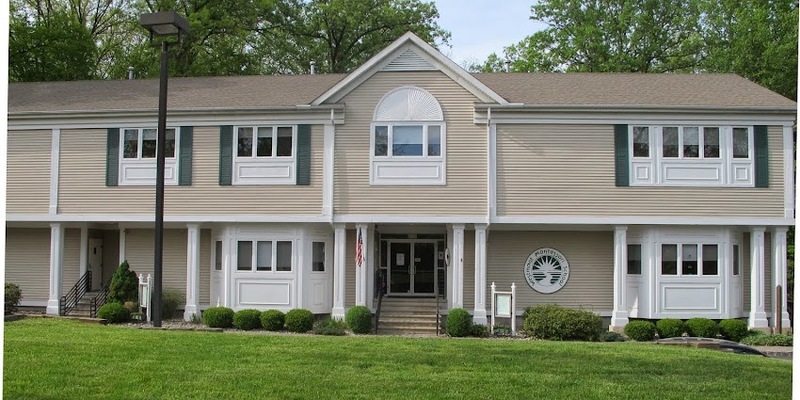 Christina is a Montessori teacher for 3-6 year olds, certified by the American Montessori Society. She currently stays home to take care of her son, James. She lives in Austin, Texas, and writes a blog,http://montessoriishmom.com, chronicling her journey through motherhood the Montessori way. It is hard to believe that summer is over, where did it go? Our children are used to long sunny days, beach outings, family gatherings and late nights which naturally impact bedtime schedules. Now that school is back in session it is important to focus on reestablishing a solid sleep routine for our children. School requires energy and focus which an adequate sleep schedule will support. In an article published by Parents.com the following are highlighted to help parents understand the importance of Sleep. Let’s make sure our children get enough sleep and are as rested as much as possible to get through their days. To help achieve the above, the article suggests Building a Better Bedtime by adapting the following as early as possible. Try not to let your infant fall asleep while eating, and put her to bed when she's still awake. By 3 months, you should slow your response time when she wakes up crying at night. By 6 months, when most babies typically sleep through the night, consider giving up the monitor if your room isn't very far away. Or you can turn the volume down. You'll be less tempted to rush to your fussing baby, and she'll be more likely to drift back to sleep on her own. Children should have a consistent bedtime ritual by 3 months that lasts no more than 30 to 40 minutes, bath included, says Dr. Mindell. And for kids up to age 10, make sure bedtime is before 9 p.m. "Children who go to bed after 9 p.m. take longer to fall asleep, wake more often at night, and get less sleep overall," she says. Dr. Durmer also suggests sticking with the usual bedtime sounds, like recorded ocean waves or a fan, and favorite sleep-time objects, such as a special blanket or pillow. Try to maintain the same temperature and level of light in your child's room, even when on vacation, says Dr. Durmer. Shut off screens too, because research is mounting about the light generated by computers and tablets: Just two hours of screen time right before bed is enough to lower levels of melatonin -- a chemical that occurs naturally at night and signals sleep to the body -- by 22 percent. Ditch devices after dinner. You already know reading to kids helps them learn, but hearing storybooks is a great way for kids to head off to dreamland. "Of all activities, reading printed books appears to be most relaxing," says Michael Gradisar, a clinical psychologist at Flinders University, in Adelaide, Australia. Sweet dreams and here’s to a restful healthy school year for our children!